Move in ready! Spacious 4BR 2 bath home w/many updates throughout. 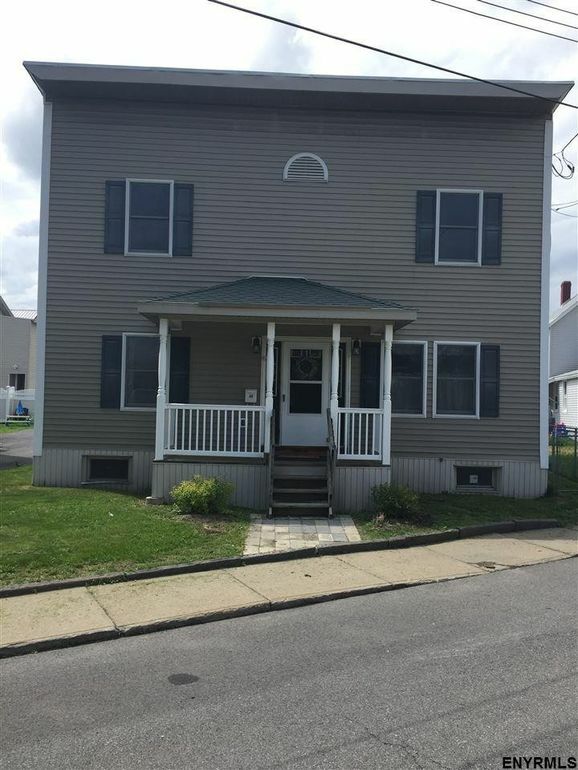 Energy efficient double wall construction and hot water baseboard heating, new electrical system, 11 year old roof & siding, full dry basement for storage. Remodeled kitchen w/new cabinets, counters & floors. Four large bdrms, two updated full baths, first floor laundry, front and rear covered porches, great flat fenced in back yard all in a convenient central location with easy access to stores and services.